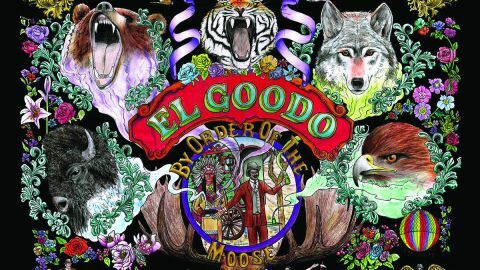 Like fellow Welsh bands Super Furry Animals and Gorky’s Zygotic Myncihere, El Goodo (named after a Big Star track) have a penchant for psychedelic pop. This, their third album and first for eight years, is released on SFA keyboard player Cian Ciaran’s imprint, but it’s more retro than the Super Furrys. Shamelessly so. It was recorded (in an old derelict cinema in their home village of Resolven) on a 16-track machine with a small array of faulty equipment, their neat pastiches of garage rock’n’roll and girl-group pop embellished with strings, brass, sitars, xylophones and harmonicas, all the better to achieve that period sound. The results are rarely less than swirlingly lovely, suffused with incense and peppermints. I Sit And Wonder and It Makes Me Wonder (they’re big on ‘Wonder’) could be covers of period hits, the latter featuring saucepans being hit to the beat of The Ronettes’ Be My Baby, and Byrds harmonies. It’s not all pretty – Sail The Ocean is like a rumble between Johnny Kidd and the Beach Boys – but it is all good.